Supplied from mid-late August until December. Dispatched as soon as they're picked! 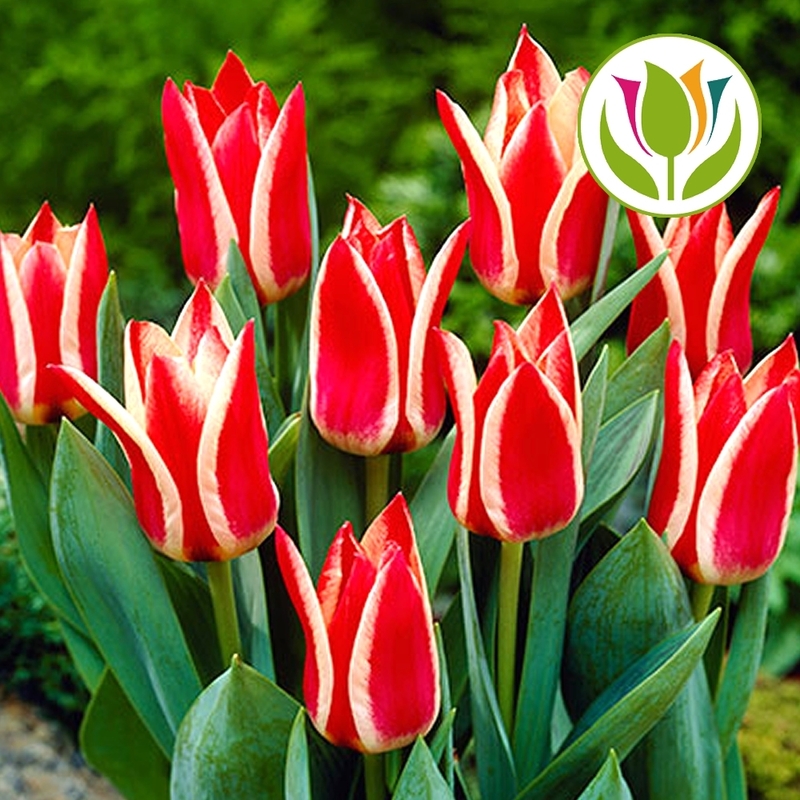 Tulips are amongst the most popular of bulbs, valued for their brilliant flower colours and shapes. Plant in autumn for a show of spring flowers. Choose from a large range to suit the situation. Its shorter height makes 'Pinocchio' perfect for planting in the rockery or in containers. It produces bright red flowers with creamy-white edges. Please note that Autumn Bulbs are usually harvested around mid-August and available for dispatching mid-late August until December. Upon purchasing you acknowledge that, whilst the listing delivery estimate may specify a date before this, ALL orders will be dispatched after the time stated above..